Parenting Our Daughters – A discussion, support and activist group open to all Newton mothers of tween/teen daughters who are interested in figuring out how to best empower and support our girls. 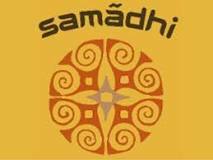 Meeting at Samadhi, 796 Beacon St, Newton Center (near B Street restaurant). For more information or to RSVP, please contact: Kim Gallaugher at 617-558-0092 or momofiggy@hotmail.com or visit our website.